Each year we partner with UnitedHealthcare to provide 50 kids with full scholarships to attend one of our Camps. 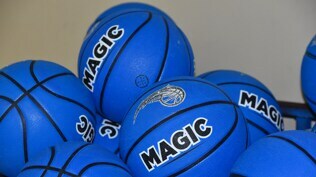 Sign up for Orlando Magic eNews to receive alerts about future camp availability, player trades, tickets deals & more. Our Orlando Magic Youth Basketball Academy coaching staff is comprised of professional coaches that are current and former collegiate players/coaches, current high school/AAU coaches, game officials, trainers and other basketball personnel. All are rigorously screened to ensure participant safety and share the same passion we do for providing a fun, educational and safe atmosphere to learn the game of basketball. 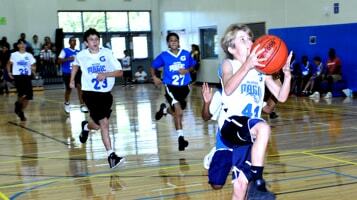 Orlando Magic Basketball Camps are located throughout the central Florida area. All programs are held indoors in clean, well-lit and air-conditioned gymnasiums. What is the Magic’s affiliation with the National Basketball Academy? Participants should come dressed in an appropriate T-shirt, athletic shorts and sneakers. For full-day camps, all participants must bring lunch. We also recommend that all campers bring a refillable water bottle. Participants should leave valuables at home as the Orlando Magic and TNBA are not responsible for such items. For any special instructions or issues (i.e. medications, allergies, etc. ), please contact Orlando Magic or TNBA personnel before the camp begins. Do you offer pre- or post-camp care? Because of our agreement with the various locations, camps are required to start and end at a specific time. As a result, all participants must be dropped off no earlier than 20 minutes prior to the start of the camp session and picked up promptly at its conclusion. Some sites such as the Rosen JCC will offer after care through their program. Please contact camps@orlandomagic.com for more information. What does a typical camp day consist of? How are participants organized during camp? Following an initial evaluation, participants are grouped by age and skill level to ensure each individual is playing alongside others of similar ability. Our camps are suitable for both boys and girls of all skill levels within the specified age ranges. Will any Magic players attend camp? When possible, select Orlando Magic players will visit camps to interact with participants. Additionally, former Orlando Magic players, Orlando Magic Community Ambassadors, STUFF, and the Orlando Magic Dancers may also visit. While the Orlando Magic and TNBA make every effort to secure player visits, appearances are not guaranteed and remain subject to player availability and schedule. Policies for cancellations and/or refunds are dependent on each camp. For the most policy details, please contact Orlando Magic or TNBA personnel. Can you tell me more about the free ticket included with each camp? All camp participants receive a free ticket to a select Orlando Magic home game for the current or upcoming season. Friends and family can purchase additional tickets at a discounted rate. Seat upgrades are also available. If you have any questions regarding ticket redemption, please contact camps@orlandomagic.com. Do you offer overnight camps? I am not from Orlando. 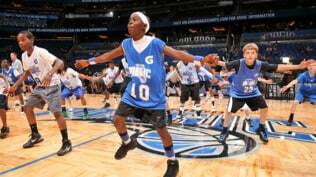 Can my child participate in an Orlando Magic Basketball Camp? Yes! The Orlando Magic embrace diversity and welcomes participants from all over the United States and the world. In past years, we’ve hosted participants from Argentina, Australia, Brazil, China, France, Germany, Iceland, India, Panama, Puerto Rico, South Africa, Spain, Turkey as well as most of the US. For individuals or group, our camps are open to everyone looking to have a great basketball camp experience. If you have any questions regarding group participation, please contact camps@orlandomagic.com. I want to host an Orlando Magic camp in my country. Is this possible? The Orlando Magic have hosted many camps and clinics in international locations. If you have any questions regarding international options, please contact camps@orlandomagic.com. The Orlando Magic Basketball Camp Scholarship Program is supported by our partner United Health Care. Applicants must be Central Florida residents and show proof of free or reduced lunch. Scholarships are awarded by our Community Relations department on a first come, first-served basis pending availability of preferred camp and proof of need-based eligibility. Due to the limited number of scholarships available, please note that completing an application and providing proof of eligibility does not guarantee receipt of scholarship. Scholarship opportunities are only available for summer camp programs. I have more questions about Orlando Magic Basketball Camps. What should I do? Jr. Magic Leagues run throughout Central Florida in partnership with various organizations and offer competitive play in a fun setting. Take your team or skills to the next level! 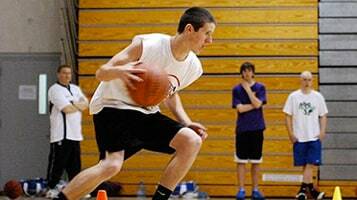 Learn about skills and drills devoted entirely to youth basketball. 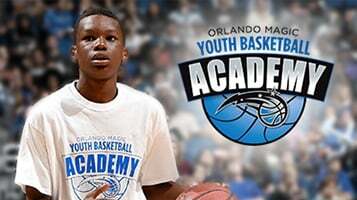 The Orlando Magic and the National Basketball Academy are teaming up to offer a series of clinics designed to take a player's game to the next level. Orlando Magic eNews subscribers are the first to receive youth basketball information, ticket access, exclusive discounts and more.